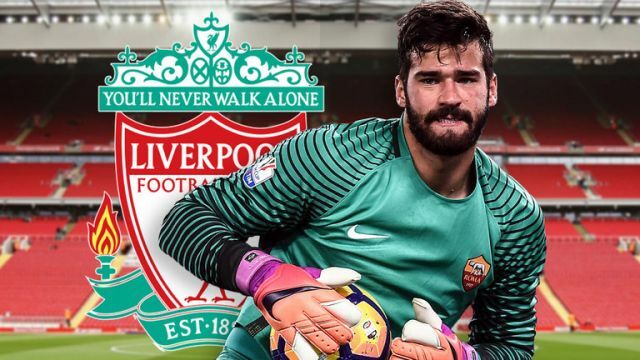 Gianluca Di Marzio says that Alisson to Liverpool is done. We’ve agreed a fee with AS Roma and the Brazilian goalkeeper has signed personal terms with the club. He does have to pass a medical, which Di Marzio’s colleague Fabrizio Romano claims will be done very soon – and then Liverpool can announce the transfer. Of course, everybody announced ‘Done Deal’ when Nabil Fekir had agreed personal terms and a fee with Lyon was reached – only for the Frenchman’s knee to worry Liverpool following the medical. So until we see the 25-year-old leaning, we’re going to try very hard not to count our chickens. But this one is very close to fruition. At the beginning of the summer, fans demanded Liverpool buy a new goalkeeper to fix a long-standing problem position – and we’ve signed the most expensive one of all time.